Hallowe’en, in case you’ve somehow missed it, is just around the corner, but instead of partying, trick or treating, and feeling nauseous after eating too many Sherbet Dip Dabs, you’re a Doctor Who fan who wants to scare yourself silly. You’re in the perfect place, my friend. But which serial should you watch? There are loads of scary ones from across over 50 years of history. 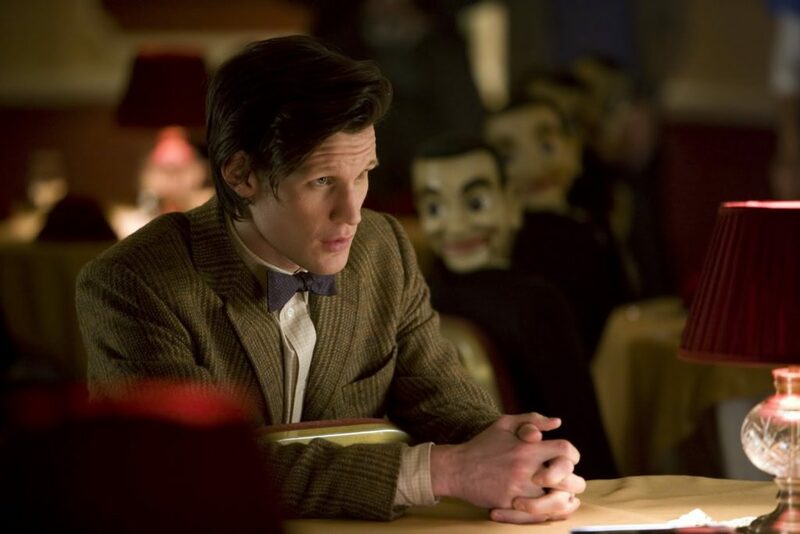 So we’re focusing on the Eleventh Doctor era – an ideal time to do so as Matt Smith’s birthday was at the weekend. Many will say Blink is the height of horror in NuWho, and it’s difficult to argue otherwise. It should come as no shock, then, that the Weeping Angels’ second outing is the first storyline to scare the pants off you this Hallowe’en. Showrunner, Steven Moffat adds a lot to the Angels’ mythos that makes them ever scarier. One notable example here is that anything that takes the image of an Angel becomes itself an Angel. Sure, there was something “meta” there, but it works primarily because it suits the structure of the story and drives the monsters’ personal narrative forward. Some things arguably take away from what was established in Blink – the Tenth Doctor called them the only assassins in the universe to kill you nicely, but here, they’re pretty brutal, even ripping out throats off screen and talking through an animated version of a man’s consciousness. However, it again suits the storyline and indeed subsequent appearances. At least you can say that these could be different tribes or clans of Angels, operating differently. No two humans are alike in personality, so why should the Weeping Angels be? 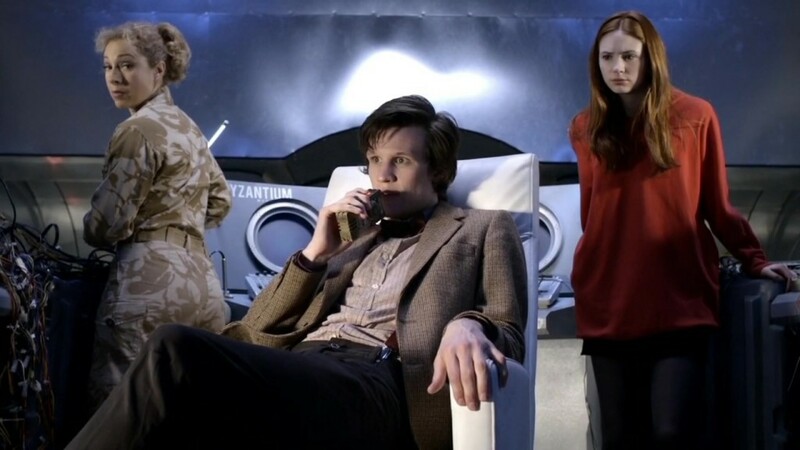 Interestingly, this was the first episode Matt Smith and Karen Gillan filmed (apart from the Doctor’s regeneration in The End of Time), and it’s astounding that they nailed their characters straight away. Incredible performances – but when isn’t that the case? Want to know a not-very-well-kept secret of mine? I love the Silence, more so than any of Moffat’s other monster creations. Everything comes together perfectly: the voice, the look, the concept, the whole execution. This two-parter from Series 6 introduced the aliens – as far as I can recall – and it’s arguably their best storyline to date. 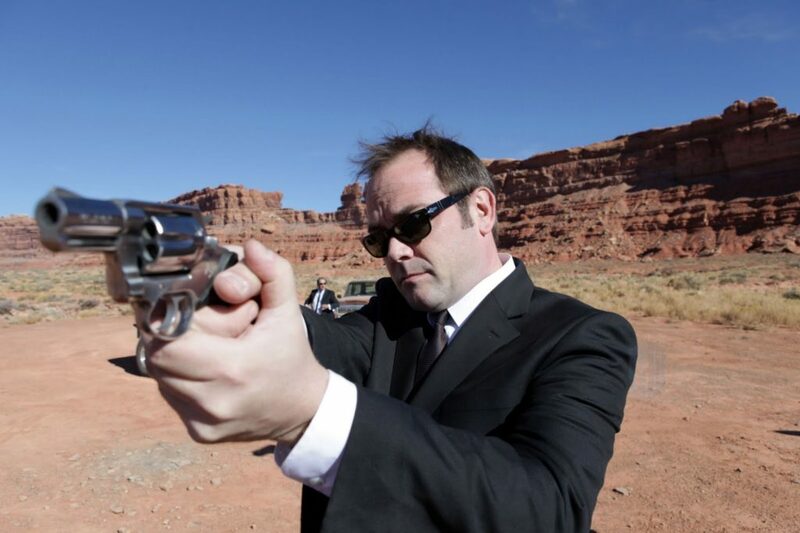 There’s a freshness to this serial, a new spirit of adventure is in the air, as we take to the USA; more specifically, Utah. Toby Haynes’ direction is just stunning, giving scope and great visuals to a twisting tale that takes us from the time of King Charles II, to a very American diner (actually located in Cardiff Bay), from a rundown children’s home, to a makeshift time capsule that we’ve seen before in Aickman Road, Colchester. The ending, the method by which the Doctor gets rid of the Silence, is both very clever and very unnerving. Still, it’s Hallowe’en: why not be reminded that we can all get a bit murdery now and again, right? 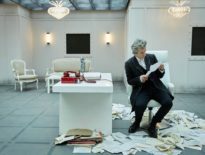 Is this Toby Whithouse’s strongest script for Doctor Who? It’s definitely a solid contender to that crown (though for my money, Toby never lets you down). What makes The God Complex work so well? It might be that it’s a base-under-siege story: those are always tense, helped by the fact that the monster, an alien minotaur, is such a beautiful design. The monster is also sympathetic, which we come to expect from both Moffat’s era of the show and of Whithouse’s writing, and yet is still a very credible threat. 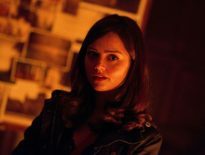 That much is evident from the fact that only the Doctor, Amy, Rory, and Gibbis escape. Then again, it might work so well because the emotional weight of the story is sublime. It’s ideally placed after The Girl Who Waited as the Doctor’s companions start to question what travelling with him has done to them, and of course, what their friendship has done to him too. For me, this is when Amy and Rory leave the TARDIS properly, with the following tales acting as a neat epilogue. Because if you watch the last few scenes and don’t feel sad, you’re an emotionally-hollow human being/ moleman from Tivoli. That’s it for today, but come back to the DWC tomorrow for our concluding recommendations!